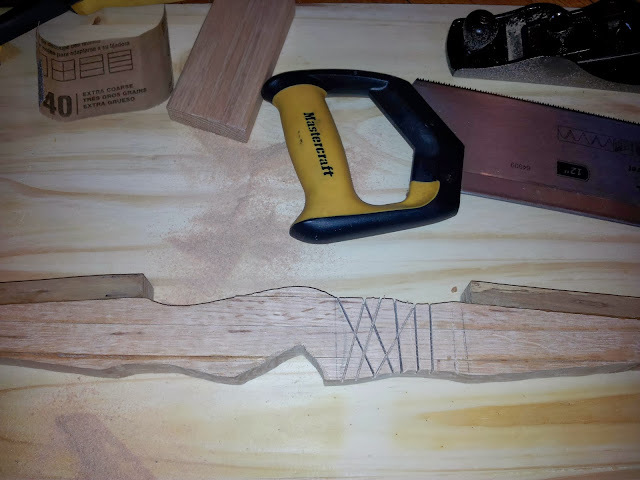 I am currently working on making a new longbow with an ergonomic grip that is easier to hold. See the photos below to see what I am talking about. As you can see below I have my two limbs made out of ash - which I dried for over 3 years before cutting and using. Traditionally you are supposed to dry ash for 3 years before using, and I have followed this tradition for making this bow. I have lots of ash left over too. I estimate I have enough ash to make another 3 or maybe even 4 more bows. Below you can also see my oak handle, made of a series of oak laminations (glued together with Titebond III), a spool of sisal for making the bowstring, a pencil for sketching out where I will cut the handle, and my empty rootbeer mug because I was thirsty. 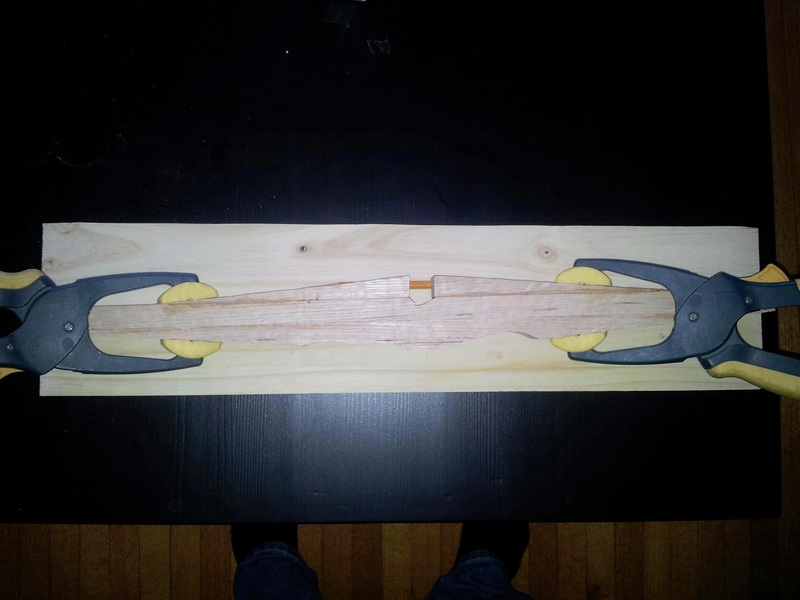 The photo below was during the final stages of the gluing and clamping process. After gluing it is best to keep the pieces clamped together for 12 hours before unclamping. DO NOT CLAMP TOO TIGHT. 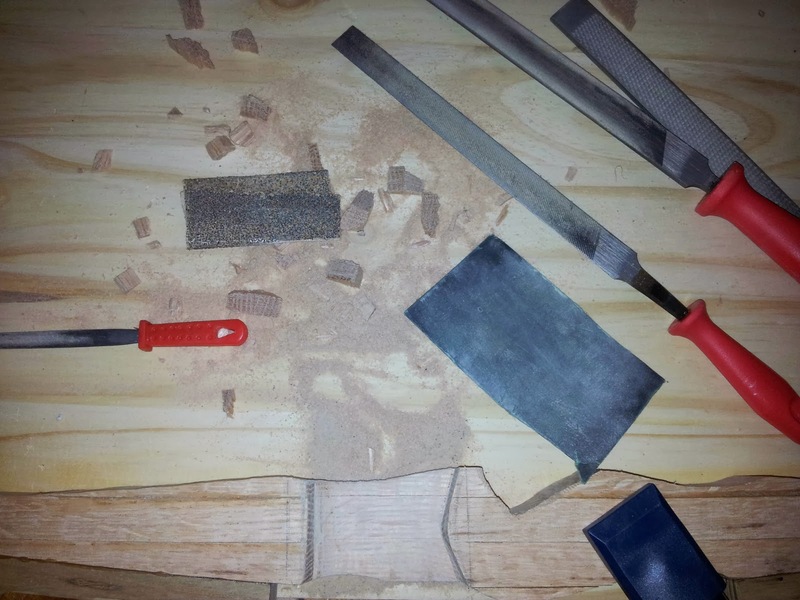 The clamping is to prevent movement, not to squeeze the glue out from between the wood pieces. Below you can see a later stage in my creation process. 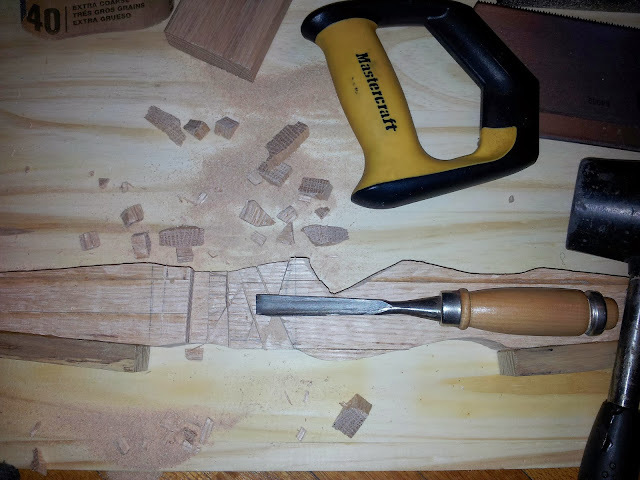 At this point I have already glued on the ash limbs to the oak handle, and I have carved out various pieces from the oak handle for what will later be the ergonomic grip. You can also see where I have cut about 40% into the wood for where the shooting window / arrow rest will be. In the shot below I am removing the pieces of wood from the arrow rest / shooting window using a curved chisel and a mallet. And lastly smoothing down the arrow rest and shooting window using rasps, files and both gritty and fine sand paper. As you can see I have opted for a traditional (-shaped arrow rest, which will later have fur glued on to it in one of the final stages. 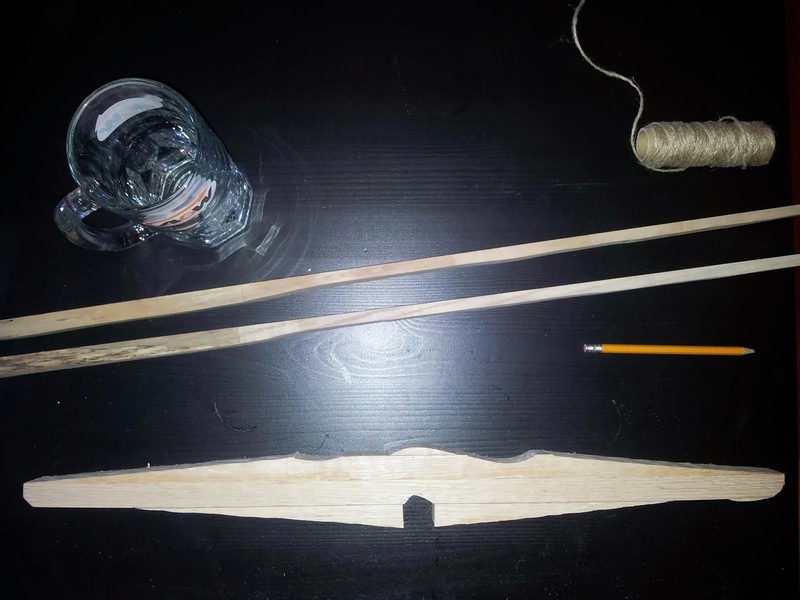 If you want to stay tuned to my bow making processes, you can subscribe to Project Gridless to receive email updates whenever a new blog post is made.